What a difference a few weeks makes. The political landscape has shifted, South Africa has a new State President, there is a new dawn and prospect of renewal. Markets, both debt and equity, have been particularly enthusiastic since the latter part of December 2017 although there has been some cooling off recently. Shares with a domestic orientation, that had little to recommend them six months ago, are now in vogue whilst the domestic government debt has rerated sharply. The recent tough government budget was a timely reminder though that hard choices must be made. Our local markets also take their cue from overseas developments and it is worth reminding ourselves that the largest stocks by market value on the JSE are dual listed or have a significant chunk of revenue or valuation that is determined abroad. 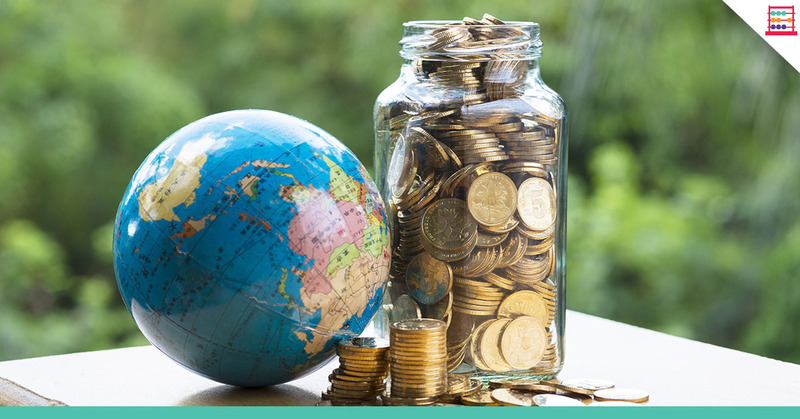 With the rand having strengthened sharply, now is a good time to look favourably at some of those stocks with an international flavour or have a look to at the great choices open to you in the US market, courtesy of the Easy Equities team. South Africa is in a better situation than it was some months ago and there is an optimism that was previously lacking. This is good, there is reason to get up and go and recover some belief in the future. Yes, politics remains noisy and will remain so in the run up to elections in the middle of 2019. In the meantime, savvy investors will be looking through the recent exuberance to spot opportunities for mispricing and opportunities overlooked. I’ve cautioned about exposure to some expensively priced domestic stocks that have been chased up in the relief rally brought about by the election of a new State President and a change of cabinet, albeit a compromise cabinet. A good indicator of diminished political risk is the government bond market, in which the R186 long bond is perhaps the best indicator. When bonds gain popularity as an investment their price firms and the yield falls. The R186 is just below 8,2% at the time of writing, having skirted recently with 8%, but still 130 basis points firmer than in the dark days of late 2017. That is a substantial rerating, in which overseas investors have played their part as they see political risk diminishing. That is not to say risk has gone away, far from it. In fact, as the recent budget showed us, the fiscal situation is not pretty. We have a VAT increase and stealth tax rises that reminds us of that. But hope is a powerful motivator and so we see the market pricing in better days ahead. The difference between despair and hope is night and day. Stocks that have risen above fair value include those included in banking and finance, retail, services, and logistics. All these sectors are facing a difficult trading environment, with stiff competition for the diminished consumer wallet. My earnings outlook on these domestic orientated stocks remains subdued and it is difficult to substantiate earnings growth higher than nominal GDP growth, other than a few isolated cases where management makes the difference or there is merger & acquisition activity to give an earnings kicker. We are currently in earnings season so keep a keen eye on what companies are reporting and signalling for the near future. Don’t overpay for an earnings stream if you struggle to justify a high price earnings ratio or a lower dividend yield, no matter how good the business is. If a stock has jumped by 40% in three months, as a large bank has, or by 25%, as a big logistics company has, or by 30%, as a services company has, then ask yourself whether the economic and business situation has changed so dramatically for that to be sustainable. 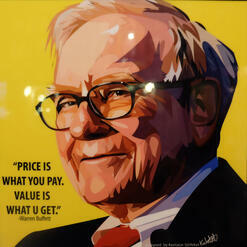 To quote Warren Buffet, “price is what you pay, value is what you get”. It is an axiom to always remember when sentiment gets ahead of fundamentals, which applies both to bear and bull markets. There is a good example recently of a company in banking that was the subject of a questionable report on its business model and solvency. There was initial concern, media publicity, and some panic. However, this company did the right thing by being honest and forthcoming with disclosure and stabilising the market in its shares. Confidence was restored. As a shareholder in this company, you felt that your investment was in sound hands. But the stock had in any event been richly priced, another one with a domestic focus that had run ahead too much. The price correction thus offered an opportunity for new money if its satisfied fundamental evaluation. It is still worth remembering that you need a good mix and match of stocks. As markets correct, up and down, take time to reassess and see what suits you best. It may even be a time to take some money of the table and reinvest in better value elsewhere. Buy and hold is not always the way to go. A bias to offshore is even more attractive today with the rand having strengthened by approximately 20% and some offshore orientated stocks having underperformed South Africa orientated stocks. You are paying much less in rand for that same stream of earnings in dollars, or euros, or pounds, or Chinese yuan. With offshore exposure, either indirectly on the JSE through companies with a big offshore earnings component, or directly through US Stocks via Easy Equities, investors need to think less in rand and more in foreign currency. Easy Equities is your friend here and offers great options. 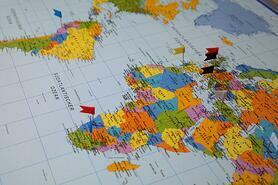 By investing offshore when the rand is stronger you invest in your international purchasing power. The value of your stock will be the same in offshore currency, but it’ll be less in rand than a few months ago. There are a number of S&P 500 stocks that have done well in dollars, but you can get them cheaper now in rand. All of us will be a bit poorer after this latest government budget. But don’t let that deflect you from your investment goals. It may be a time to reprioritise on consumption, cutting back here and there. You are not going to compromise your quality of life today, but you’ll certainly enhance your quality of life in years to come. You should check out: Strengthening Fundamentals.